Whatever your project is, you can get professional results if you have the right tools! Tools for artists and online business owners! I have personally tested every recommended tool on this page. Many of the resources listed here are crucial to running my business (or were crucial to developing my sites). These tools can assist you in building your business, too. All of my niche websites are hosted here. Right now, they’re running a special. Get up to 63% off — Only $2.95 per Month! As you can see, I can have all of the web services I need all in one account! It’s truly easy to get a new site up and running quickly. One feature that I really like is the one-click automatic WordPress Blog installation. I’m currently using the Cloud Business Package. Even this is extremely affordable hosting platform. Technical support available 24/7. (I know, I’ve had to call in during odd hours!). Did you know that including video on a landing page can increase conversion rates by 80%? (Meaning that your leads are converted to sales). Or that 92% of mobile video consumers share videos with others? Video isn’t a fad, it’s a necessity. Now enjoy Green Screen / Chroma Key editing (Remove a Color)! Details for Green Screen. One of my most important and favorite tools. Enjoy all of the professional features you would expect in software at this level but at an affordable price! Of course it includes screen capture. The sound and image synce perfectly and the images are crisp and sharp. Professional video editing for any level of user. What you get is feature-rich software with free tech support. What software at this price point has free tech support? When you have edited and finalized your video masterpiece, you can share it directly from the app to YouTube, Google Drive, and Screencast.com. CNET gave Camtasia an amazing and rare 5★★★★★’s for Spectacular. And the review is well earned. Want to do some training videos? Create a 3-Day Video Give Away? Share a recent studio behind-the-scenes video for your fans? My advice? You have zero risk. But, don’t take my word for it. Try the Free 30-Day trial and enjoy the full version of Camtasia without limitations or watermarks (and access to that Free Tech Support I mentioned above). Choose the US or UK offers above. Let me know if you need something else. PROFESSIONAL STOCK IMAGES THAT INCREASE TRAFFIC BUT KEEP YOU ON BUDGET. If you want your marketing and blog posts to stand out, you MUST incorporate images! Researchers have found that colored visuals increase people’s willingness to read a piece of content by 80%. If a relevant image is paired with textual information, people retained 65% of the information three days later. Stay Safe: Purchase Amazing Images That Help You Stay On Budget! My Go-To Source for Premium Stock Images. Why spend more than you have to? 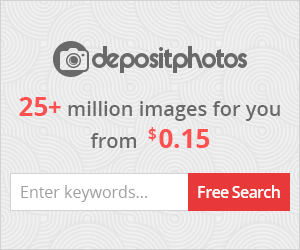 1,300,000 customers buy stock images at Depositphotos. Try now! ARE YOU A BLOGGER? WANT MORE TRAFFIC, SUPPORT, AN ACTIVE COMMUNITY TO GROW WITH? Highly recommended! Power Affiliate Club! Unlike other Blogging Communities, it’s all about YOU! To participate in these activities you must join the PAC Facebook Community. Wait until you see what you get with a Paid Membership! Check it all out now!